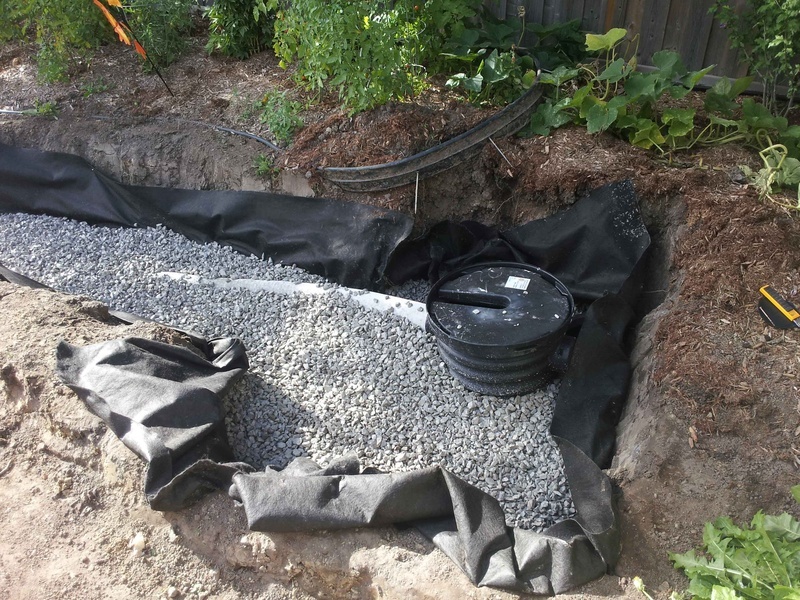 Water Problems - Drainage Solutions! 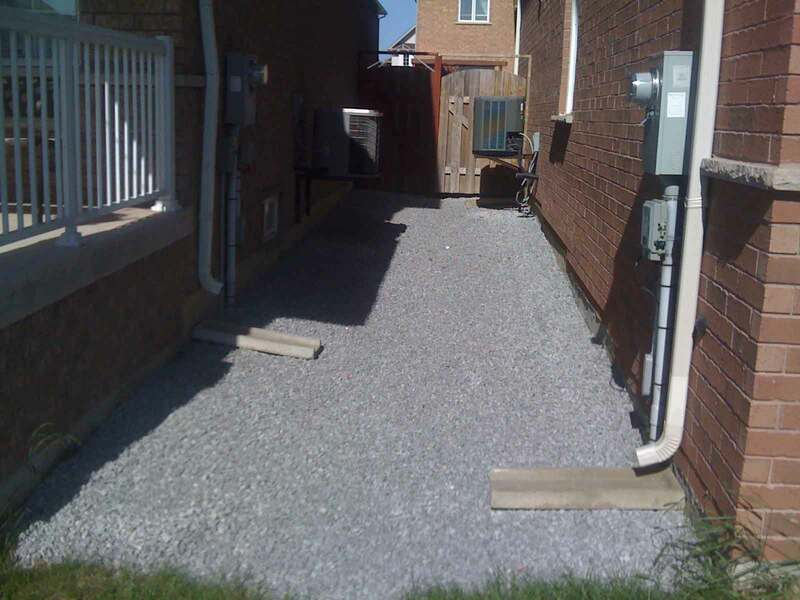 The main cause for a leaky basement and wet lawn is that water flow that should be shed along the grade of the property is impaired because there is not enough slope away from the house. Old and poorly installed gutters may be allowing rainwater to sit too close and with nowhere else to go it slowly penetrates into your foundation. Is your lawn soft and squishy? Too much water is bad for your lawn. Excessive water promotes rapid growth of weeds, fungus, and root rot, and moss, and eventually your lawn will perish. Shrubs can get leaf spot, die back, and suffer root decline. Lawns without good drainage become soft and muddy, especially in drainage swales between homes. 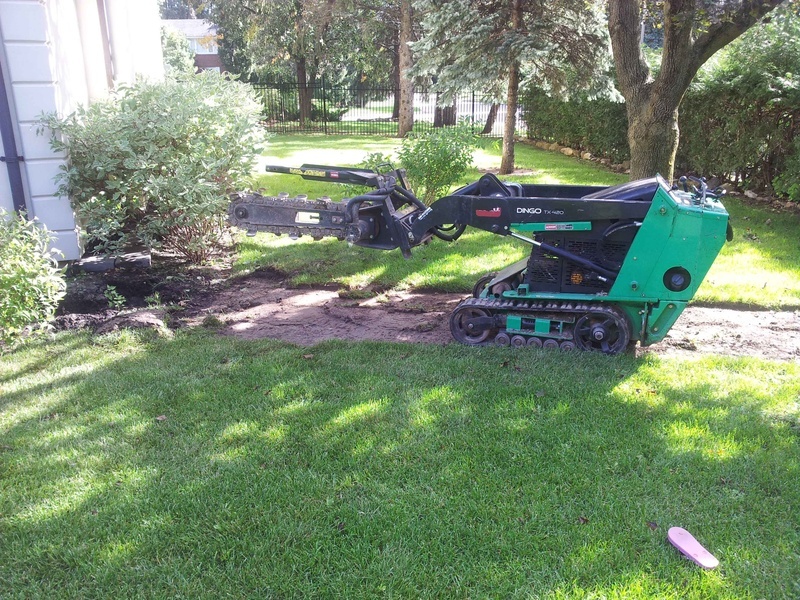 We offer simple solutions; weeping tile, minor re-grading, downspout relocation, and French drains. 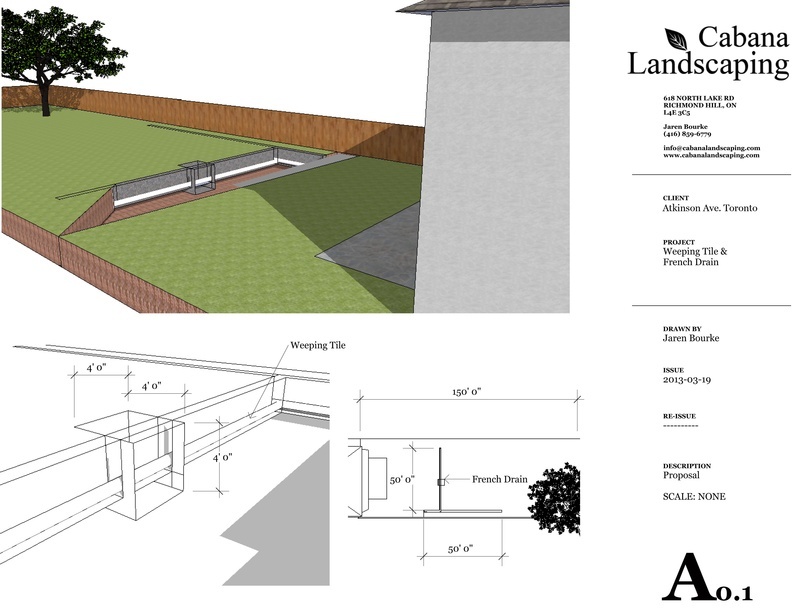 And more complex solutions such as foundation excavating, membrane waterproofing and complete site re-grading. Whatever your need, Cabana Landscaping has you covered! We will start the job process by assessing your needs, and offering the most affordable and appropriate solution to the problem. 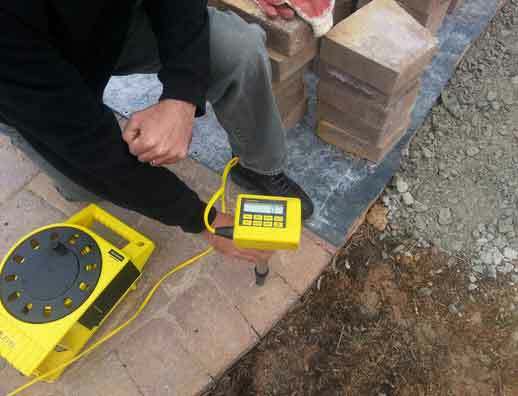 We will check the grade of your property using basic tools such as a level, and if need be we can scan your whole property and map out your current drainage profile to 1/8th of an inch. 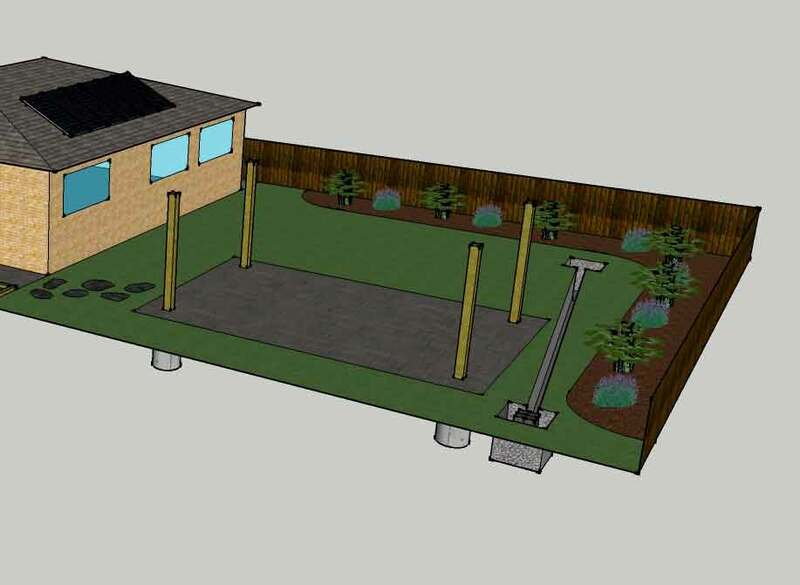 We can even provide a 3D design of your property to help you visualize the work we are providing. 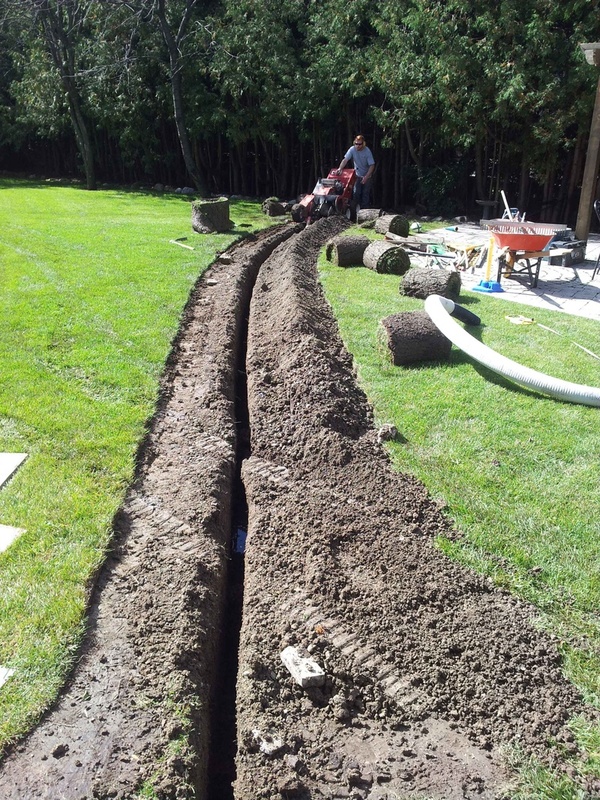 We warranty all our work, and have many examples of drainage jobs we have done in the past. We have the knowledge, experience, and tools to get the job done right!